Just five more days to register, space is limited and the symposium seating is filling up fast. Please remember that our Santa Clara Valley chapter only holds a symposium every couple of years so don’t miss out. And Sherri Osaka wants to remind us that there will be plants for sale as well! Are you concerned about our state’s shrinking water supply? 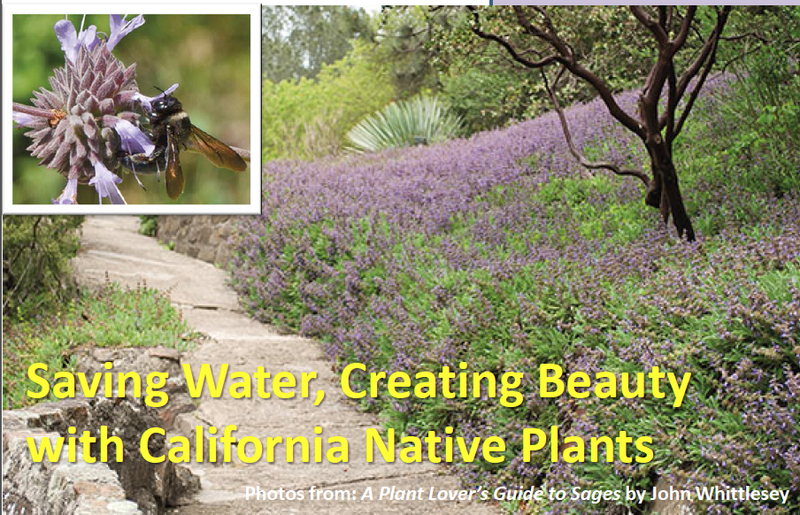 Learn how to conserve irrigation water and create a beautiful landscape at the same time at the Native Horticultural Symposium “Saving Water, Creating Beauty with California Native Plants,” September 20th at Foothill College, 12345 El Monte Rd., Los Altos Hills. To register and find out more information, visit www.cnps-scv.org, or call (408) 828-6467. The symposium runs from 9 AM – 5 PM, September 20th. $65 for students, $90 for CNPS members, $100 for the general public. Continental breakfast and lunch are included. To register and find out more information, visit http://www.cnps-scv.org or call (408) 828-6467. ← Shall we do another group effort?